No one enjoys a dirty RV. McBride’s wants to make your RV cleaning and maintenance easy for all their storage customers. 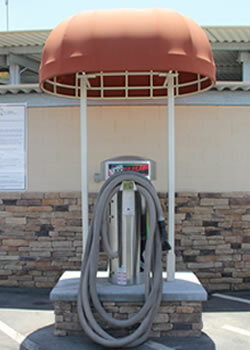 With the Vacuum station, now it’s simple and easy to clean up your vehicle before or after your trips. The vacuum station is a high quality system that offers an incredible suction that will remove the fines sand particles inside your RV or automobile. McBride’s RV storage is committed to have the best storage facility in California. That’s why we buy the best equipment, offer the best service and design the storage facility with useful amenities that will save our customers time and money.